Ideal Credit Union has announced the promotion of Chris Friederichs to Vice President of Lending Operations. 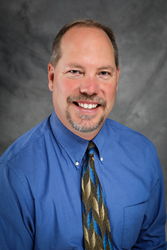 Friederichs started his career with Ideal CU in 1989 as a teller, then moved into lending operations and member services.He is a trusted lending professional with over 27 years of financial experience. Chris Friederichs has been promoted to Vice President of Lending Operations at Ideal Credit Union. Chris is a seasoned professional with a broad range of lending experience in both indirect and direct/consumer markets. - Ideal CU President/CEO Brian Sherrick. Ideal Credit Union has announced the promotion of Chris Friederichs to Vice President of Lending Operations. Friederichs started his career with Ideal CU in 1989 as a teller, then moved into lending operations and member services. Prior to his promotion, he served as Director of Central Underwriting. Friederichs is a trusted lending professional with over 27 years of financial experience. Friederichs has a Bachelor’s Degree in Journalism from Saint Cloud State University. His volunteer efforts include the Hastings basketball boosters, Hastings Youth Athletic Association, Cub Scouts, Second Harvest Heartland and he is active in his church. He enjoys walks with his wife, spending time with children, family and friends, motorcycling, golf and camping. Founded in 1926, Ideal Credit Union is a member owned financial institution that specializes in providing excellent member service, great rates and convenience to 50,000 members. Ideal CU offers a complete range of services, including a full suite of electronic banking products, savings, checking, loans, mortgage products and title services, exclusive VIP member payback, business services, investment services and more. Visit idealcu.com for details and locations.